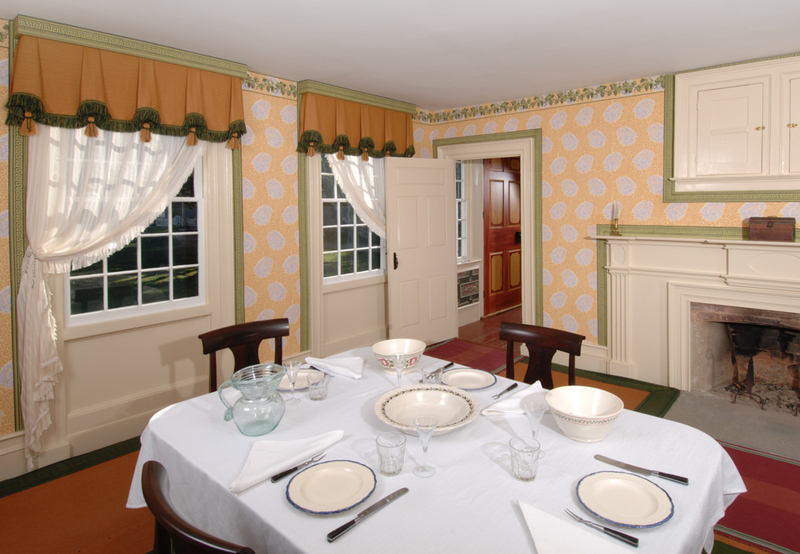 This pattern was discovered in the front parlor of a Greek Revival farmhouse in Schuylerville NY, along with Adelphi’s Grape Cluster Frieze and the Greek Key Border, which was used to trim the doors and windows. All three papers were printed by the French firm of Jacquemart et Bernard. 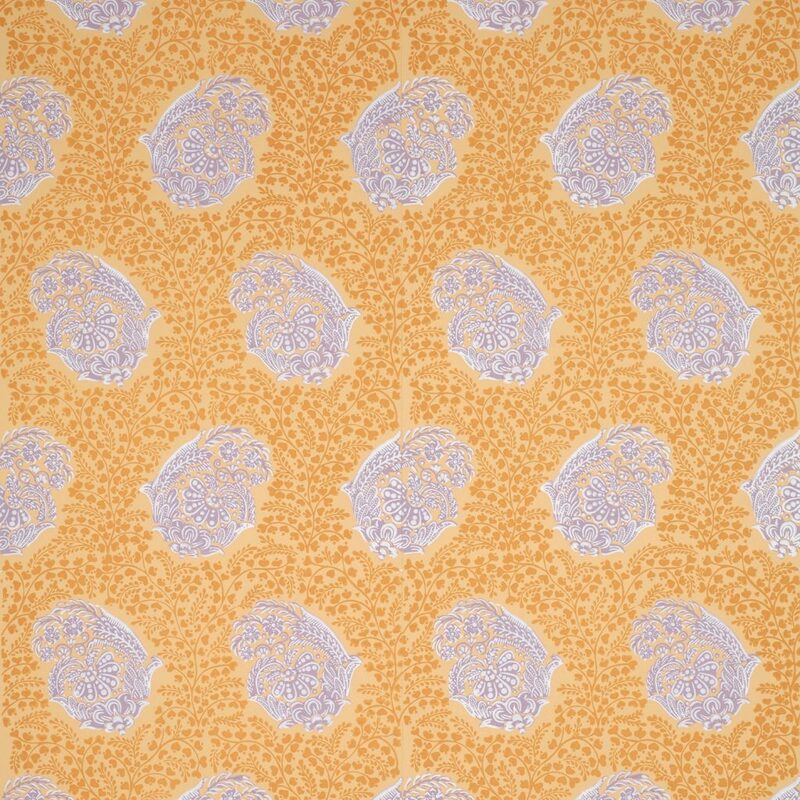 The surprising use of violet in the central motif of this pattern is typical of French papers from 1810-20. The overall meandering vine and compact layout make this a superb pattern for parlors or bedrooms. Imperial Measurements: Repeat 6 ¼ inches, width 18 ½ inches, Lenth 11 yards, straight match. Metric Measurements: 41 cm, 47 cm, 10 m.